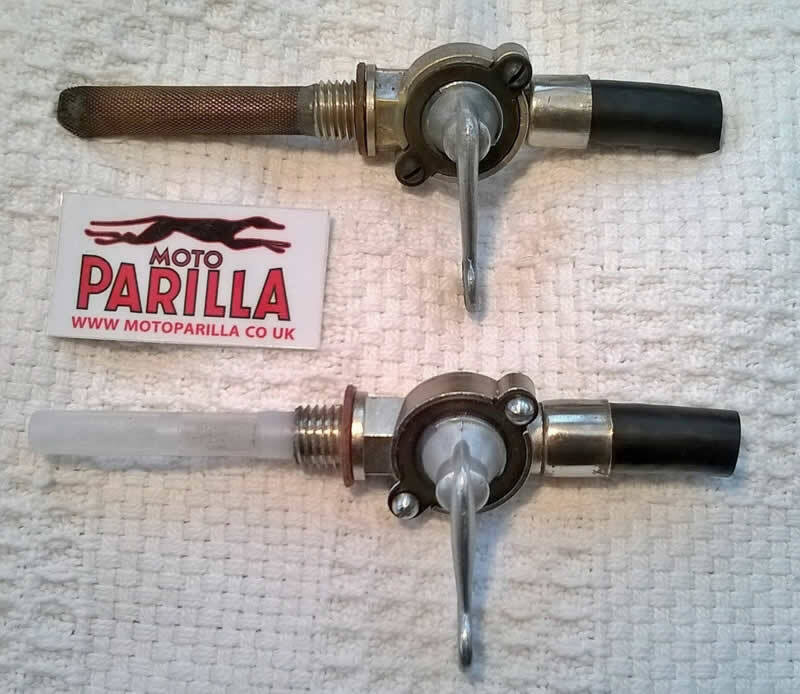 I have just taken delivery of a small number of replica Dellorto PRC petrol taps as used on some Moto Parilla models, in particular the 250 & 175 Wildcat. These have a coarse thread at the tank end & a “barbed” outlet are on/off/reserve as original. The removable filter is plastic rather than brass mesh. 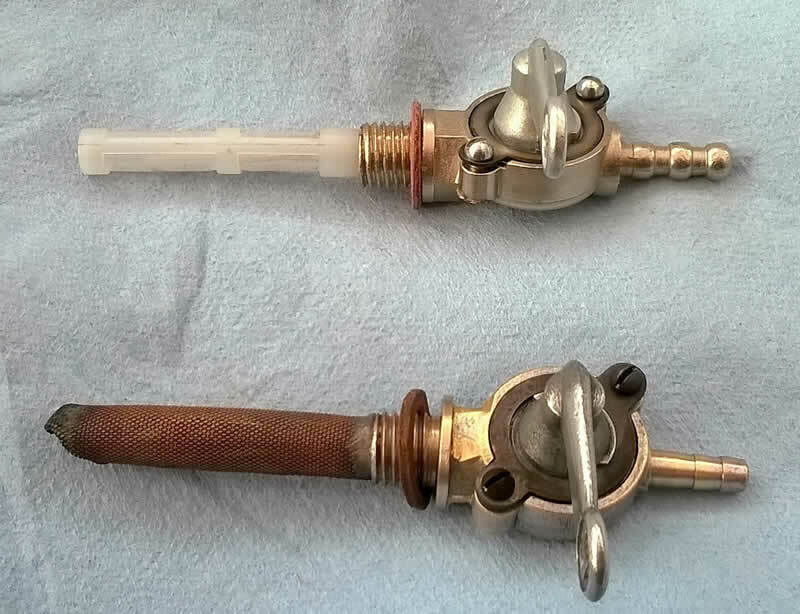 The tap can be taken apart as the original. The body is steel rather than brass, nickel plated. They are supplied with a fibre washer. The outlet has a more pronounced barb than the original to better retain the fuel tubing and the hexagon section is more pronounced to allow easier spanner access. The taps are not made by Dellorto and therefore cannot carry lettering on the rear of the tap. The taps are sold as sets i.e two taps. If there is sufficient demand I can commission another batch – there is a minimum order number so please mail me if interested.